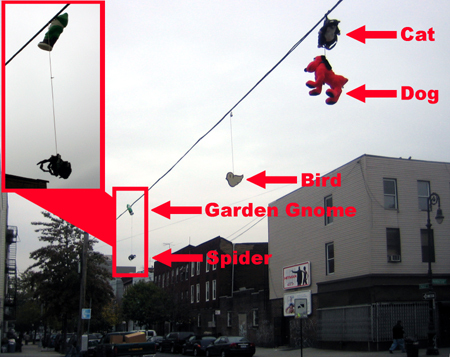 Some of you might remember my post about the exotic assortment of items congregating on the telephone line crossing Manhattan Avenue at Eagle Street. For those of you who don’t, here’s a photo of it to jog your memory. Well, the powers that be behind this budding masterpiece have been bit by holiday spirit. 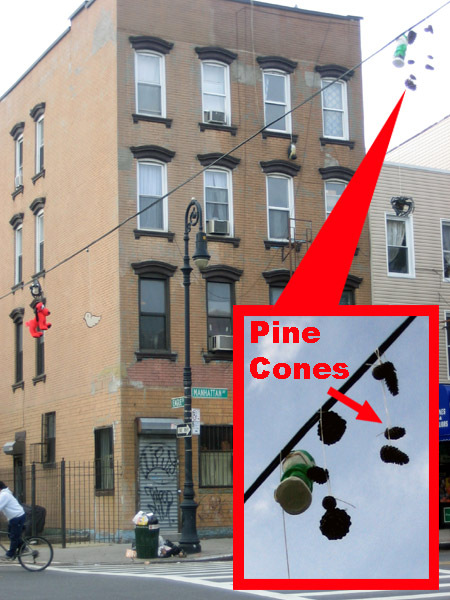 I call this ensemble Christmas gnome with pine cones.